Fluoride in water programs date back to the middle of the last century, when the American Medical Association and the American Dental Association both came out in favor of fluoridation as a safe and effective way to lower cavities and tooth decay in the overall population. As a matter of fact, the Centers for Disease Control hailed fluoridation as one of the top ten accomplishments of the 20th century! The World Health Organization points out the the perks are greatest for the economically disadvantaged, who often don’t have access to adequate dental care. Opponents of fluoridation say too little is known about the long term risks of ingesting too much fluoride, and point to research suggesting a positive correlation between fluoridation programs and certain types of cancer. 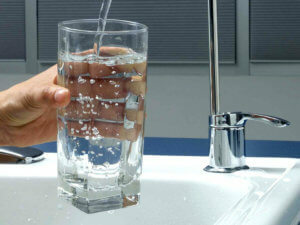 In addition, fluoride may pose a health hazard to people with kidney disease and widespread use of public fluoridation makes it awfully a challenge to avoid.They argue that it’s not ethical to dose the entire population with fluoride in order to reach a small subset of the population and that even underprivileged citizens should have the right to opt-in and not treated without consent. Most people, however, still have fluoride in the water that they drink. The more that you consume, the more fluoride enters your body. However, if you want to lower your exposure to fluoride, you can get a special filter installed in your water line to filter out the fluoride. Both reverse osmosis and distillation will also help remove fluoride. In addition, you need to keep in mind that a lot of bottled drinks are made with fluoridated water. Fluoride is also naturally present in most tea leaves and drinking a ton of black tea can be a significant source of fluoride exposure. Finally, if you live in an area that doesn’t have fluoridated water, you can get the tooth-hardening fluoride perks from either toothpaste or rinses. Plus, you and your kids can get topical fluoride treatments from your dentist. If you can’t afford regular dental care, there are a couple of agencies and organizations that will help you find either low or no cost dental care in your area. These are some of the fluoride water pros and cons that you need to be mindful about. You should also know that small amounts of fluoride are still safe for your body. Just be careful not to overdo it as too much of it inside of your body can have severe side effects on your overall health.